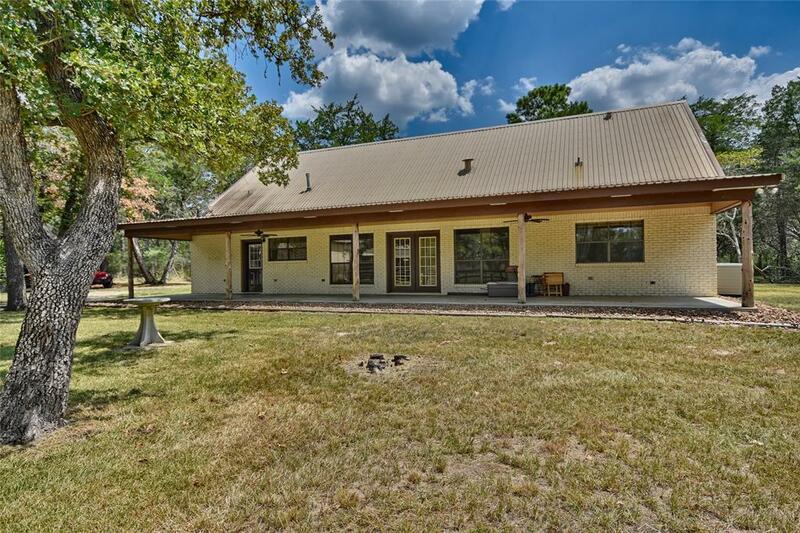 Really nice secluded Country property with close proximity to Houston. 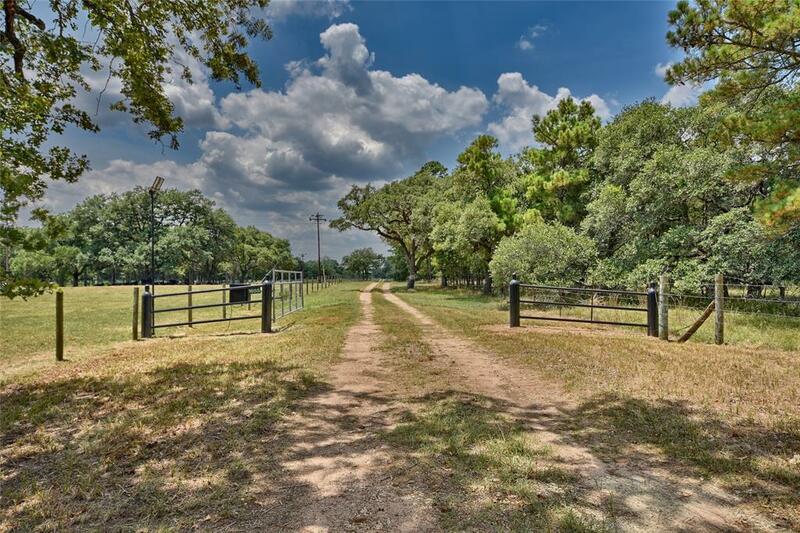 Heavily wooded, 2 nice ponds, beautiful mature oaks and additional trees, including large pines. Country home and large storage multipurpose 4600 sq. ft. barn with 4 horse stalls. 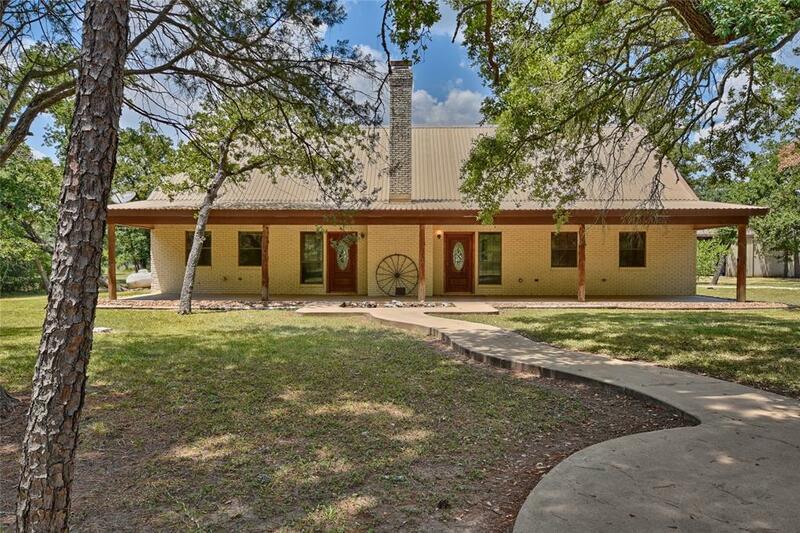 House has 3 bedroom, 2.5 baths. Cook's kitchen with subzero refrigerator, gas range, island configuration with large pantry. Roomy living area and dining room. Pretty fireplace with large mantel and complete with Heat-A-Later. Tile flooring throughout with carpeted bedrooms. Large Party barn/storage barn/horse barn with nice storage room. Overhang area for equipment and lawnmowers, etc. Small hay barn located by large pond. 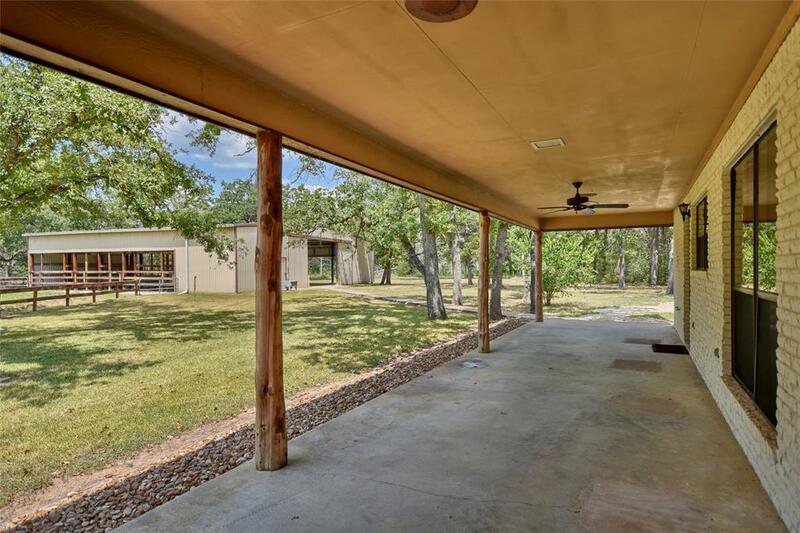 This property is so close to Columbus and only an hour to Houston. Perfect weekend or full time place for good country living.